So, what is this “Unified Communications” thing, anyhow? Have you heard the term unified communications tossed around lately? It seems to be used a lot in IT, telecomm, and work collaboration circles. 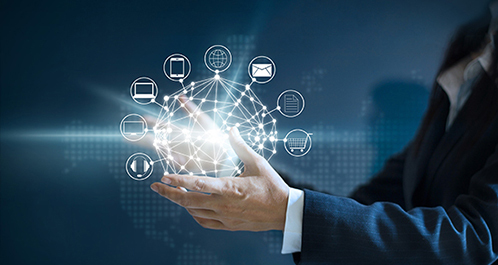 Unified communications is a newer concept that refers to a conceptual platform where multiple communications channels can join together to increase productivity and facilitate collaboration. Here’s one way to look at it. Imagine that you only own one car. And imagine it is a sporty two seater. And then imagine you decide to invite five of your friends, none of whom are able to drive, out to dinner. This means you would have to pick each one up separately and drive him or her to the restaurant. And of course, one of them lives down an old rough farm road, so you have to drive very slowly so you don’t damage the underside of your expensive little two seater. This scenario is pretty similar to the way we handle business communications today. We aren't able to just throw everyone together in a great big van and go out and have fun. Think about all of the possible ways we communicate and collaborate in the workplace. We use email, vmail, the office phone, our mobile phone for voice, our mobile phone, a chat app, and perhaps an occasional fax thrown in for good measure. Not to mention, the workplace isn't always a specific physical location because a virtual office can exist anywhere. Slowly but surely over the past few decades the tools we use to communicate have multiplied and the locations available to “conduct” business have reached an infinite number. So, instead of driving everyone individually out to dinner, it is time we considered buying a nice big van. And that is the idea behind the concept of unified communications. It is time to look at all of our communications channels and begin exploring how we can combine them to save time and energy, and become more efficient. And perhaps as a bonus, improve the quality of our collaboration and outcomes. Multi-Channel communications: are they enough?